Special animals come into our lives and touch our hearts in ways that leaves us forever changed. A chapter ends as the familiar road you traveled together comes to an abrupt end. You are in uncharted territory without a map. Lost. The world as you know it may look totally different. Not everyone realizes that the bond between humans and their pets can be deeper than with a loved human. Some people often spend more time with their pets than they do with family members. Pets don’t judge or hurt us the way humans can. The loss of their constant, unconditional love can leave us empty. 1. Hold a ritual after your pet dies and invite friends and family who knew and loved your pet. Share stories about how your beloved animal enriched your life and other lives she touched. You may also want to create a memorial altar with a candle and your pets’ photo, along with other items that belong to or remind you of your pet, such as her dish, special toys, and a lock of her hair. 2. 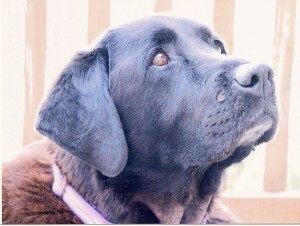 Recognize that the grief of pet loss can be exceptionally profound and honor that by giving your grief the space to be. Allow your tears. Set-aside quiet time each day where you can decrease the demands of the outside world. Write in your journal. Allow your pain to express and release. 3. Let in the compassion and understanding of supportive family friends and strangers. 4. Don’t be surprised if some family members or friends are not as supportive as you might expect them to be. Allow yourself to take time off from friends who don’t understand the depth of your grief, who try to downplay your loss because it’s an animal rather than a human, or who have unrealistic expectations of you at this very vulnerable time. 5. Let people know if you need to talk about your lost pet. Many well-intended people may try to change the subject to make it easier on you and you may need to let them know that it’s okay to talk about it. 6. Find a pet loss support group locally or online and make use of the national pet loss support hotlines. 7. Nurture yourself. Get a massage. Take walks that nature. Meditate. Have lunch with a supportive friend. Do what feeds your soul. 8. Know yourself well enough to know if getting a new pet at this time will help or hinder our grief process. Some people do fine jumping right in with a new dog or cat. Others may resent having a new animal in the house too quickly. 9. Help animals at your local humane society or get involved with the many breed rescue groups in your area. It may help ease your pain if you allow your love from your lost animal to become part of a bigger purpose, such as assisting and caring for homeless animals. 10. Try new things to discover more of yourself; those creative endeavors you have often considered but have never tried. We all have to face grief and loss eventually. It’s one of the great equalizers in life. Allow your pet’s death to ripple the foundation of who you are, as death often does. When we experienced loss, it may be a good time to let go of what no longer fits in your life; what isn’t you. In my case, after I lost Maggie, I changed both personally and professionally. I hope my steps on the road from loss to healing can now benefit you in your time of loss. As devastating as the loss of our beloved animals can be, this time can also be an excellent opportunity to examine our purpose in life and find new meaning. Visit the The Argus Institute at Colorado State University, The Human Animal Bond Trust of the Denver Area Veterinary Medical Society & Cornell University College of Veterinary Medicine for national pet loss support hotline information. Anderson, M., Coping With Sorrow on the Loss of Your Pet, Pergrine Press, 1987. 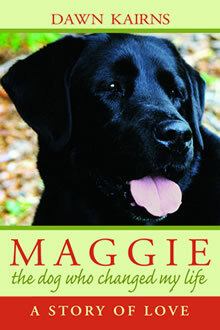 Kairns, D., Maggie The Dog Who Changed My Life: A Story of Love, iUniverse, 2008. Kay, T., To Dance With the White Dog, Washington Square Press, 1990. Kay, W., et al, Pet Loss and Human Bereavement, Iowa State University Press, 1984. Kowalski, G. Souls of Animals, Stillpoint Publishing, 1998. Luckenbach, P. The Kingdom of Heart: A Pet Loss Journal, Spiritual Living Press, 2005. Montgomery, M., and Montgomery, H., A Final Act of Caring: Ending the Life of An Animal Friend. Montgomery Press, 1993. 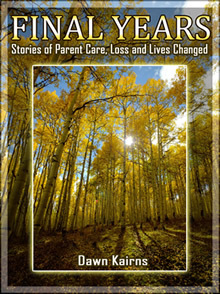 Neiburg, H., et al, Pet Loss: A Thoughtful Guide for Adults and Children,Harper and Row, 1982. Sife, W., The Loss of a Pet: A Guide to Coping With the Grieving Process When a Pet Dies, 1998. Watson, G. & E. Dogs Have Souls, Too, PMD Publishing, 2001. Colorado Veterinary Medical Foundation-Harrison Center for Animals. 191 Yuma Street in Denver.